Life's Journey To Perfection: LDS Sharing Time Ideas for October 2015 Week 3: We come unto Christ by repenting when we make a mistake. 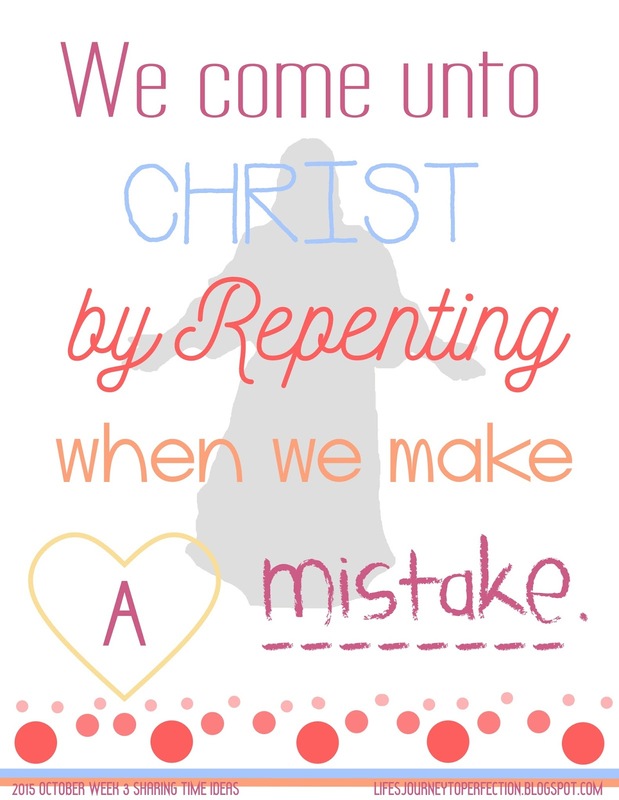 LDS Sharing Time Ideas for October 2015 Week 3: We come unto Christ by repenting when we make a mistake. October 2015 Scripture: “Yea, come unto Christ, and be perfected in him” (Moroni 10:32). October Week 3 Topic: We come unto Christ by repenting when we make a mistake. LDS Sharing Time November 2014 Week 3: Repentance is a change of mind and heart. My Gospel Standards FHE wk 3: I will choose the right. I know I can repent when I make a mistake. 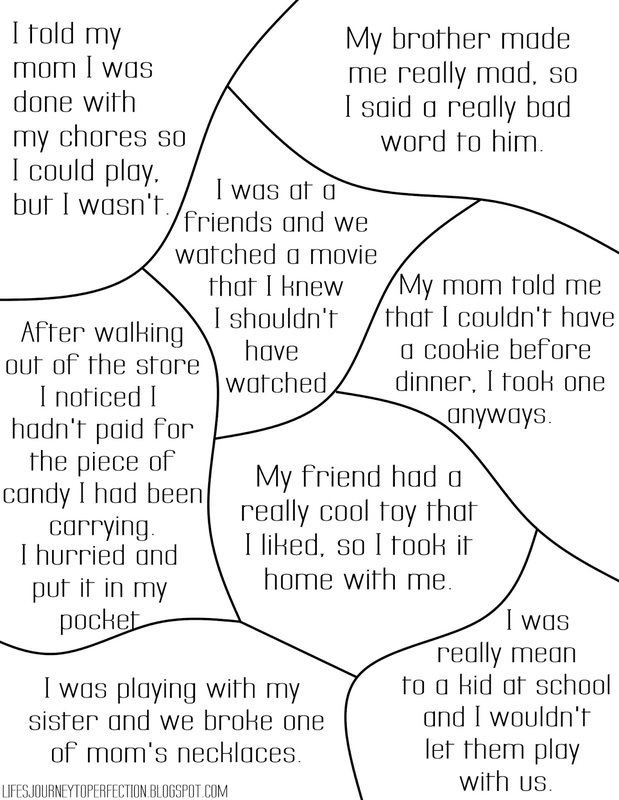 LDS Sharing Time Ideas for May 2015 Week 2: I can repent. LDS Sharing Time Outline Ideas for February 2015 Week 2: Through the Atonement of Jesus Christ, all mankind may be saved. Place a picture of the Savior on the board, covered up by the following printable. Invite a primary child to come up and choose one of the pieces. Read the piece and invite the child to share what they would do to repent of that mistake. Take the piece off. Continue with each piece until the picture of Christ is completely uncovered. Explain to the children that as we use the gift of repentance that the Savior has given to us, then we will grow closer to him. We grow closer to him because we have to rely on him to over come our faults and to truly repent. Close by sharing your testimony on the topic.